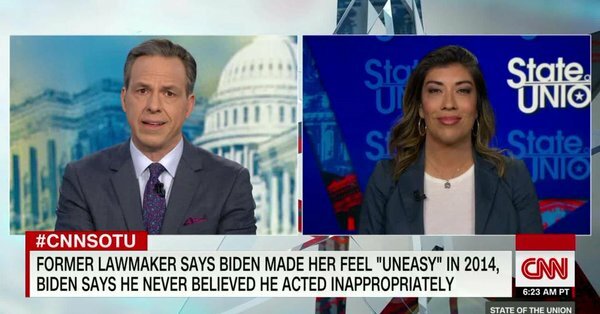 Lucy Flores, the Democrat lawmaker who just revealed that Joe Biden inappropriately touched her during her 2014 campaign for Lieutenant Governor of Nevada appeared on CNN’s “State of the Union” on Sunday. Ms. Flores described how she was standing in a ‘holding room for speakers’ preparing to go on stage at an event in Las Vegas just days before the November election when Biden groped her and smelled her hair — the young Democrat hopeful said she was in total shock and mortified over the incident. On Sunday, Ms. Flores spoke out about her accusation that Joe Biden used his position as one of the most powerful men in the world to sexually harass her. The young Latina Democrat also responded to Joe Biden’s ridiculous defense against her accusation claiming it was never his “intention” to make her feel uneasy. There’s that word again — “intention” — well if the intent wasn’t there then it doesn’t count. Lucy Flores eviscerated Joe Biden’s “intention” defense. 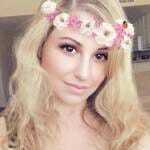 Flores expressed her anger over all the stories about groping Joe Biden (mainly from conservative blogs) not being taken seriously — well that’s because he’s a Democrat and Democrats can do whatever they want without fear of reprisal, even molest women and young girls like Joe Biden has been doing for years. “I just can’t imagine that there was never a situation where someone said to him, ‘Mr. Vice President, you probably should stop doing that, you should probably stop touching women in that way, you should probably keep your hands to yourself,” Flores said.